Courtesy of Coldwell Banker Triad Kernersville. ove in ready! All new carpet & freshly painted. Spacious floor plan, abundant storage. Master on the main level with his & hers walk-in closets & private bath. Three large bedrooms upstairs, plus walk-out attic storage. Oversized garage, heated & cooled, plus workshop with built-in cabinets & workbench. Nicely landscaped, fenced back yard, a pergola over the patio, many plants & garden space. Convenient to interstate highway, shopping, & schools. Directions: I-40 to Union Cross Road, left on Sedge Garden Road, Right on Country Meadows Lane house on left. 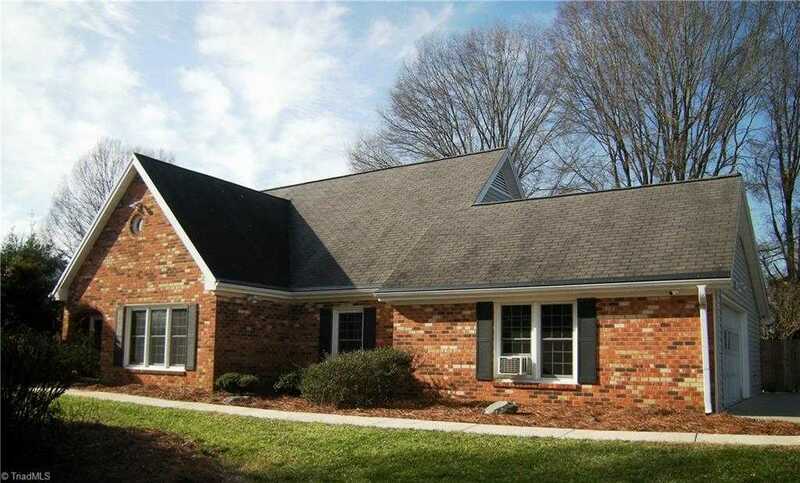 Please, send me more information on this property: MLS# 914826 – $224,900 – 1486 Country Meadows Lane, Kernersville, NC 27284. I would like to schedule a private showing for this property: MLS# 914826 – $224,900 – 1486 Country Meadows Lane, Kernersville, NC 27284.